The best way to extract subscriber value? Get customers to buy on a regular basis, of course. Gym memberships have operated on this concept and profited for decades -- and now this age old model has taken new life in the mobile age as best in class providers like Netflix, Birchbox, Slack and more get consumers and businesses to sign up with a credit card for instant service. We took a deep look at internet users and their subscription habits. For instance, did you know that internet users in BRIC countries (Brazil, Russia, India and China) are more willing to subscribe than US and UK markets. These new facets of the changing landscape are crucial to understand that you don’t know what you don’t know. We’re going to talk to the best in class for subscription strategies -- we’re talking to Netflix and other top execs about the best ways to convert your users into subscribers -- and keep them for the long haul. 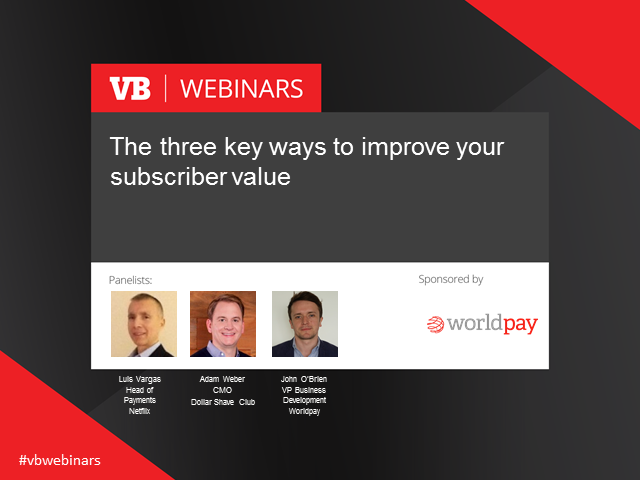 We’re also going to look at how improving your payments increases your subscriber worth as a whole -- and brings huge revenue where it counts. Join us for an interactive free discussion on how you can get your casual users to put a ring on it. Register today and don’t miss this stellar panel discussion on instant payment systems.